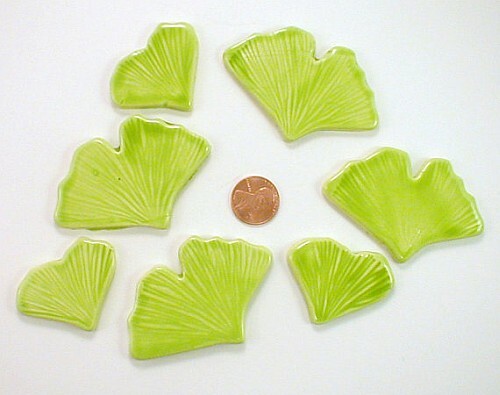 All ocean plant tiles are made out of wet clay then painted, glazed, and fired in a kiln twice which makes them strong and waterproof. They are flat on the back for easy attachment to any project. 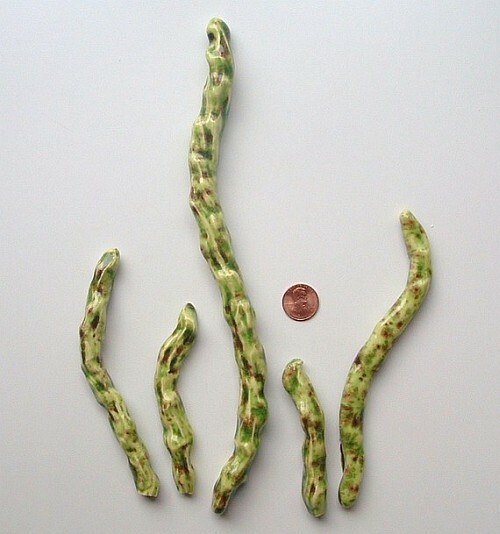 The seaweed sticks vary in size from 3 to 8 inches (75 to 200 mm) long, for the ginko leaves please refer to picture and use the penny as a guide for the size.